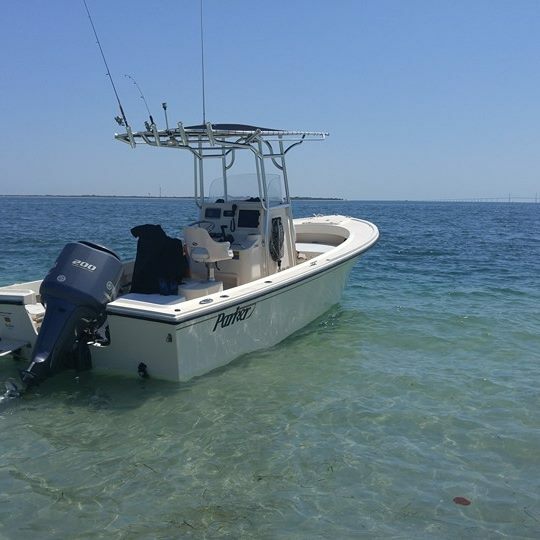 Welcome to Five O’Clock Charlie Boat Tours, Inc.
We provide personal boat touring and fishing charters on the beautiful coastline of Manatee County Florida for parties of up to 6 people. Enjoy the incredible ocean wildlife, scenic coastal beauty and memory making experience of our tours. Come join us on a tour of the Manatee River in North West Bradenton and see dolphins, manatees, sea birds and the beautiful gulf estuary waters surrounding the outer Tampa Bay Area. We provide 90 minute, 2 hour, 3 hour, 4 hour, and day long charters. The day long charter would be a trip to Egmont Key State Aquatic Park and would include snorkeling (Equipment Provided). Four hour inshore fishing charters available for those that want to get out and enjoy an awesome fishery. Bring a lunch and drinks and come relax on our 23′ Parker boat with an experienced licensed and insured Captain. Captain John Blenker is a Licensed Master Mariner with a 50 ton near Coastal license. He has held this license since 2002. He is also a member of the Florida Guides Association. Remember, whenever you go on a charter with any Captain make sure and ask to see their credentials. If they are not licensed then they are not insured. When you visit us make sure to stop in Boca Bait Company, the marina store where they have snacks, drinks and sandwiches. Tours are conducted daily by appointment out of Blenker Boatworks and Marina, 2504 88th St Ct Nw Bradenton,Fl 34209. Our boat will pick you up at a public boat ramp or at a vacation rental with docking facilities that is convenient to you (an added service charge for this may be required). Feel free to call and we will answer any questions or verify availability. E-mail me with your contact information. Captain John is first Aid/CPR certified and formerly an Emergency Medical Technician and first responder. Gratuities are much appreciated. The Captain makes every effort to ensure comfort and safety of all passengers. He also cleans all fish and packages them. Please tip your Captain. Weather can always be a factor when we go out. If the winds are strong and over 15 mph most trips are canceled. I will make every opportunity to accommodate guests that have had their trips cancelled. Come and visit “Five O’Clock Charlie Boat Tours” and spend a morning, mid-day or late afternoon to sunset on the water. Bring a nice bottle of wine and make some “Facebook” memories by watching a beautiful sunset over the Manatee River, Tampa Bay and the Anna Maria Sound. What a perfect trip for that special person in your life. Call Captain John for a reservation and he will make sure you are taken well taken care of. Our most popular trip is the 4 hour trip to Egmont Key snorkeling/fishing. In the spring to mid summer the water is very clear with visibility of 60′. We have found lots of beautiful shells on the Gulf floor. I have six sets of snorkeling equipment on the boat. Bring an underwater camera, lunch and drinks and let Captain John do the piloting. Dive on a Civil War era Fort ruins and see why they call the Gulf one of the most beautiful waterways in the world. Fishing in this area is excellent year round. 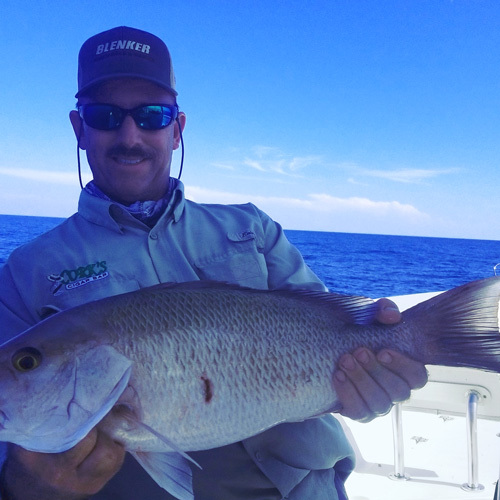 Captain John is a Licensed fishing guide and a Member of the Florida Guides Association. Book a fishing trip with him and he will put you on some nice good eating fish. If you don’t want to eat the fish Captain John is a big advocate of catch and release. This ensures the resource for further generations. With the upcoming Holidays or special occasions consider purchasing a gift certificate as a gift to your loved ones. We will take care of them and show them the beauty of this area. A gift certificate will be provided for under the tree or in a gift card. These Gift certificates have become very popular during the holidays and provide a memorable experience for your loved ones. New Boat Added to Fleet April 2016. Back in April I bought a boat that handles the Bay chop much better. It is a 23′ Parker SE center console with a T-Top. It has worked out amazingly well. We have a small area in the center console with a porta potty for guest comfort. The vessel also works great on my inshore fishing trips as well. We have a great variety of boat touring services available – check them out and give us a call!